Many iOS 6 users are extremely unhappy with the new Apple Maps. Unfortunately for those users, rumor has it that the official Google Maps app is not due to hit the Apple App Store until the end of 2012. Unnamed sources have informed both The Verge and The New York Times that the app is definitely launching, but it’s still several months away. The delay is rumored to be as a result of Apple pulling the plug on Google Maps without ever telling Google. 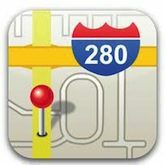 Apple’s contract to utilize Google’s map systems and data extended into 2013. Presumably, Google was planning to release their official standalone app after the contract was up. It’s apparent that Google did not know of Apple’s plan until it was announced to the public in June of this year. Other possibilities for the delay include Google’s potential plans to include imagery from Google Earth directly in the application. The hope is, of course, that with this addition Google Maps can compete with any/all of Apple’s map features. All of this comes, of course, after Google’s Chairman Eric Schmidt announced in Japan that Google has “not done anything yet” in regards to Google Maps for iOS. It should certainly be interesting to see when Google Maps comes out and how Apple improves Maps in the meantime.